Ramon Jimenez started his career early. His career also came to an early end. 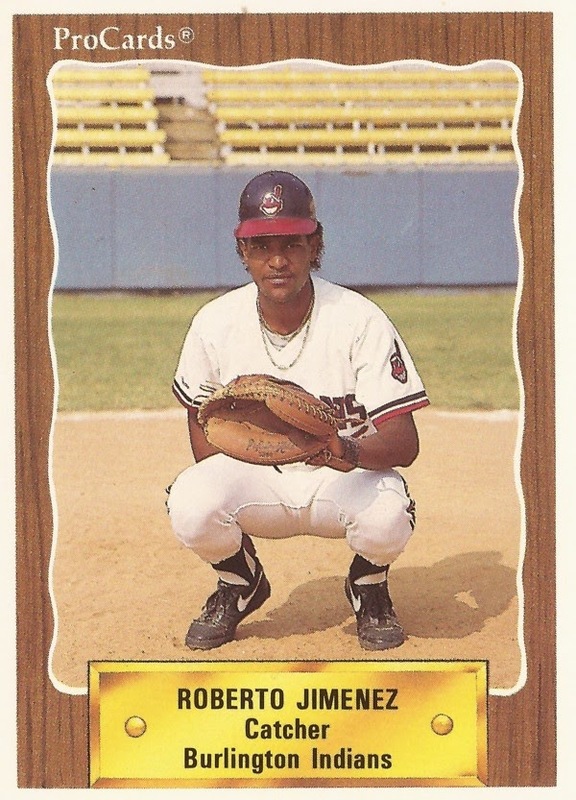 Jimenez signed with the Indians in June 1988 as a free agent out of his native Dominican Republic. He had just turned 17 years old two months earlier. It was as a 19-year-old that Jimenez' career ended after just two seasons as a pro. Jimenez first hit the field for the Indians in 1989. He played at rookie Burlington and in the rookie Gulf Coast League. Jimenez played 21 games at Burlington that year. He picked up 16 hits in 65 at bats for a .246 average. He also hit one home run. In the Gulf Coast League, Jimenez got into 19 games, going 9 for 57 for a .158 average. Between the two levels Jimenez' average came to just .205. Jimenez returned to Burlington for 1990, playing exclusively with the club. The catcher hit .241 over 40 games. He was also credited with committing nine errors behind the plate. It was Jimenez' final season as a pro.